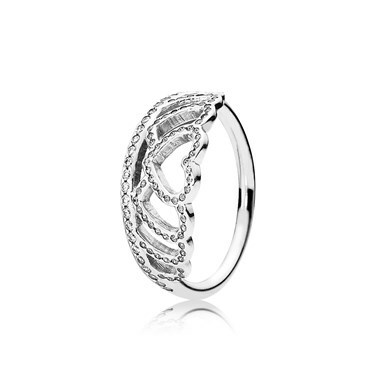 Feel like a princess with this gorgeous PANDORA tiara ring. Perfectly crafted from Sterling silver, this openwork tiara shaped ring dazzles with clear cubic zirconia crystals. A truly regal gift for the princess in your life! My daughter was desperate for this ring, I couldn't get hold of it direct from pandora so had to search the Internet to find it. Luckily we found it available at Argento and my daughter is now very happy. I purchased this ring for my sisters 21st birthday. Lovely ring and my sister loves it. Argento Replies: Hi, Thank you for your question. You would need to measure your daughters finger and then check our ring size comparisons chart at the bottom of our website. I have included the link to the ring chart page below: https://www.argento.com/images/sizecharts/ArgentoSizeChart.pdf I hope this helps you and others. Regards, Argento.